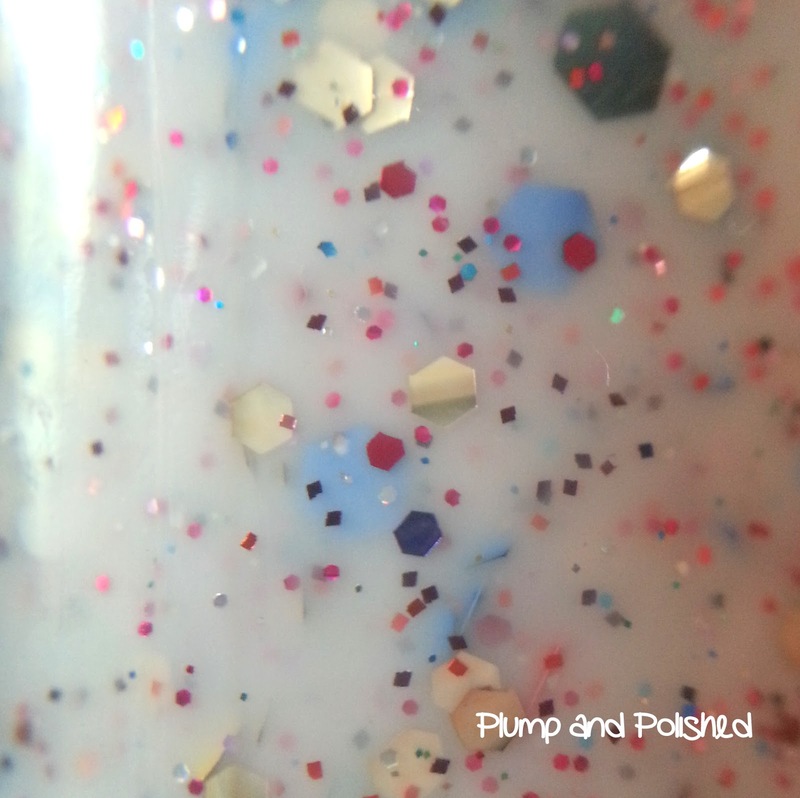 Tonight's post is the first of four Polish Addict polishes I have to share with you. 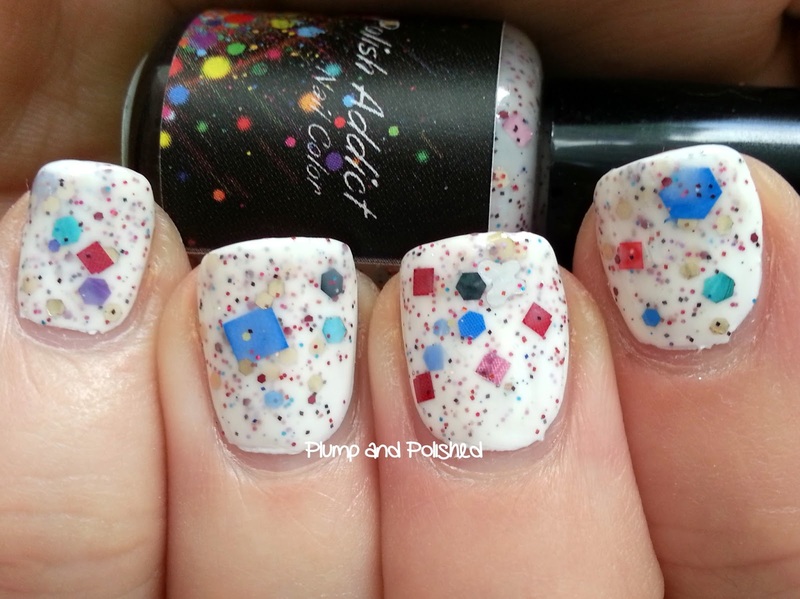 Polish Addict was created back in August 2012 by polish friends Laura and Crystal. What better thing for bffs to do? As soon as I got this and the other polishes, I couldn't wait to give them a try! I've seen swatches while browsing Instagram and had to test them myself. I tried to use this without a base color, but didn't like it at all. 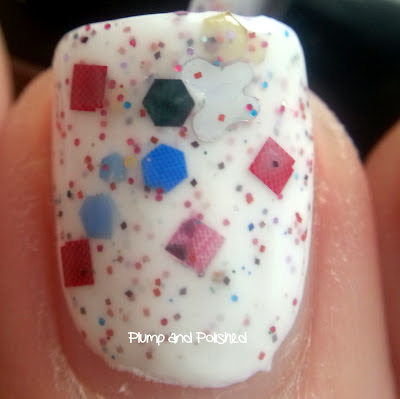 Instead, I layered two easy coats over a white base; I used Sinful Colors Snow Me White. This jam packed glitter was easy to work with. I didn't have to fish around at all. The dry time was average. It didn't give me any trouble. However, I found that the large squares didn't want to work with the curve of my nail. Two coats of Seche Vite fixed it for me. As you can see, there's a ton of different glitters in here. I don't think I even came close to describing all of them in my bottle shot. With so much glitter, I was expecting this to be thick or problematic. It wasn't at all. It's smooth as can be with top coat. That big blue square is the reason I used two coats of SV. This was my favorite nail. I had no idea this polish had silver shapes! The butterfly took me by surprise. I honestly don't know what else could be hiding in that bottle. haha! The tiny opal glitters in this are really nice. They at dimension and sparkle in the sun. Perfect for summer!